On special days at my grandmother’s house, there was a giant glass bowl, much bigger than my head, filled nearly to the brim with layer upon layer of vanilla wafers, bananas, and creamy pudding. The crowning glory to this masterpiece was the ocean of meringue topping, with swooping waves and curls that were just barely toasted on the edges. The longer the banana pudding sat, the more it melded together in a sweet, syrupy mess. This is the banana pudding I grew up with, and perhaps because of it, I will have no part of any banana pudding that has “instant pudding” or “banana flavoring” in the mix. Pudding is made with egg yolks, whole milk, and sugar. It does not come in a box, for crying out loud! Since we started avoiding gluten, that magic combination of mushy vanilla wafers, banana, and pudding seemed to be an impossibility. Probably someone makes gluten-free vanilla wafers – I don’t know. Some of the gluten-free products out there have other “problems” in their ingredient lists, so I try not to look at them too much. My idea to revive this recipe was to use chunks of a gluten-free vanilla cake instead of the vanilla wafers, and to layer it much like a trifle. I baked one layer of yellow cake using a gluten-free flour mixture I had on hand, diced it up, and built the pudding. As a whole, this turned out great! The cake soaked in the pudding and bananas resulted in the same great taste as I remembered. Unfortunately I was not completely pleased with the cake itself because the texture turned out a little rubbery, so I’m not sharing that part of the recipe with you. I think the problem was with my flour. I will suggest some recipes that I think will work better, until I get one of my own worked out. Good grief, that’s enough talking about the pudding! Let’s make this! Note: This makes a LARGE banana pudding. You may want to halve the recipe unless you’re cooking for a crowd. I did not make the meringue this time, but instructions are provided. If you want to go with the classic vanilla wafers instead of cake, use a whole box of them. I apologize for not including a cake recipe, but here are some recipes that look good to me. Remember, you only need one layer. Prepare the cake, and let cool completely. Cut the cake into 1-inch cubes (or smaller). Mix the egg yolks, sugar, arrowroot starch, and salt in a medium-sized bowl. Bring the milk to a simmer in a large saucepan. Remove from heat. Using a small measuring cup, transfer some of the hot milk to the egg mixture; add slowly while whisking. Repeat several times, until you have added about 1 cup of milk and the egg mixture is warmed thoroughly. Add the egg mixture to the remaining milk in the saucepan, while stirring. Cook over medium heat, stirring constantly, until thick (like pudding). Stir in vanilla and remove from heat. Make a layer of cake cubes on the bottom of a large bowl. (If you plan on adding the meringue topping, the bowl should be oven-proof at 375F.) Add a layer of sliced bananas to cover the cake, then pour approximately 1/3 of the pudding over the bananas. Repeat layers with cake, bananas, and pudding. Note: you will probably not need all of the cake cubes. I’m sure you can find another use for them. The finished pudding without a meringue. That’s a lot of pudding!!! Bake the pudding at 375F until the meringue begins to brown (10-15 minutes). Let cool and chill before serving. Enjoy! That’s some good stuff right there! As are the musical selections, both new releases. 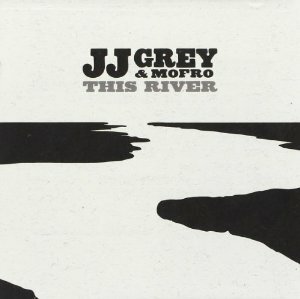 First up, the latest from JJ Grey and Mofro with This River. This Florida band has been around for a few years, honing their sound which is a mixture of horn-based rock, gritty soul music, and infectious funk. 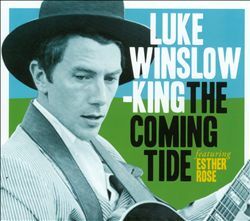 A relative newcomer, Luke Winslow-King captures that great New Orleans blues/R+B sound on his new record The Coming Tide. He romps thru standards such as “Keep Your Lamp Trimmed and Burning” and a great version of “Got My Mind Set On You” with his partner in harmony Esther Rose. Grand stuff! Wow, I love this! My dad loves bananas so I will have to make this for him. I hope your dad enjoys it – I bet he will, because banana pudding is good stuff! Thanks for commenting! 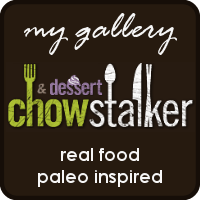 This entry was posted on April 20, 2013 by She cooks...He cleans in For the Sweet Tooth and tagged banana, best, cake, cooked, dessert, gluten free, homemade, layered, meringue, old-fashioned, pudding, real, recipe, Thanksgiving, trifle, vanilla, vanilla pudding.